It’s been about three months since I’ve been to Los Arrieros Restaurantein Toronto, and I really wanted a Bandeja Paisa, so I went back with a friend last Thursday. I ordered the Bandeja Paisa (Click HERE to read the first post on this restaurant) as usual, but also wanted to try something new. 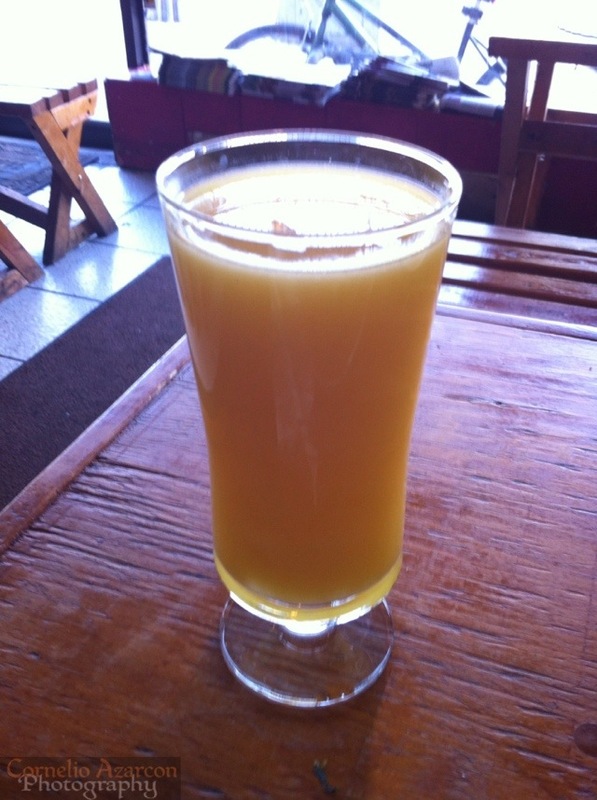 To drink, I ordered the Mango Juice ($2.99), which was very refreshing, especially mixed with water. It is also available with milk, but if you want to enjoy the fresh and full flavour of the mango, water is the best choice. I ordered the Azteca Soup ($6.99) to start. 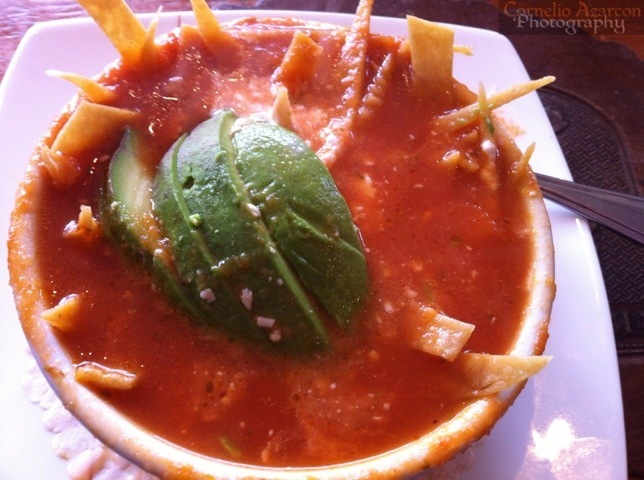 It’s a tomato based soup with pieces of tortilla chips, cheese, and avocado. The flavour combination is quite complex with varied textures as well, brought about by the crunchiness of the tortilla chips, and the creaminess of the cheese and avocado. Really enjoyed the soup. As with my previous visit, the Bandeja Paisa was very enjoyable and filling. Will definitely return again and try more new dishes.